Female Tourist: What is that? Male Tourist: It's a famous picture of the monster. But it's fake. Female Tourist: How do you know it's fake? It looks real. Old Angus: Oh, it's fake alright. Male Tourist: Of course it's fake. Everyone knows that. Old Angus: We'd know, son. There's more to that photo than meets the eye. Male Tourist: Oh ho, really. Old Angus: Well, if you'd like to know the real truth. Female Tourist: Yeah, I wanna know. Come on, it'll be fun. 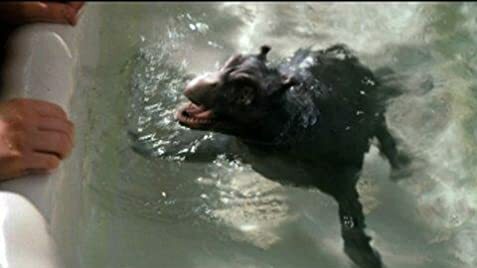 Q: What is a "water horse"? 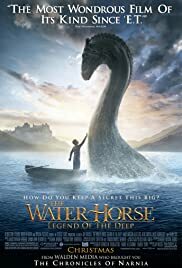 Q: Is "The Water Horse" based on a book? Q: What is 'The Water Horse' about? Heartwarming family entertainment. This movie has the feel of "ET" and "Dear Frankie" another great Scottish film. The setting is near Loch Ness in Scotland during World War II. The landscape of Scotland is a beautiful backdrop for the movie and the character of Angus just finds his way into your heart. There is laughter as well as many touching scenes. Of course, there is the anti-hero, there always is. And the war in Europe is also a "character" in the film as it affects people's lives. The theater where I saw the movie had many children in attendance and they all seemed to love this movie. And there is enough in the story to keep the adults involved also.